Upper-air temperature of the current year. For the retrieval of the meteorological parameters temperature, humidity, pressure and wind not only at the surface, but also in the vertical column, small instruments -sondes- are launched with a weather balloon. As the measured data are radio transmitted to the ground station during flight, the instruments are called radiosondes. In Ny-Ålesund, daily 12 UT radiosonde launches are operated since 1993. 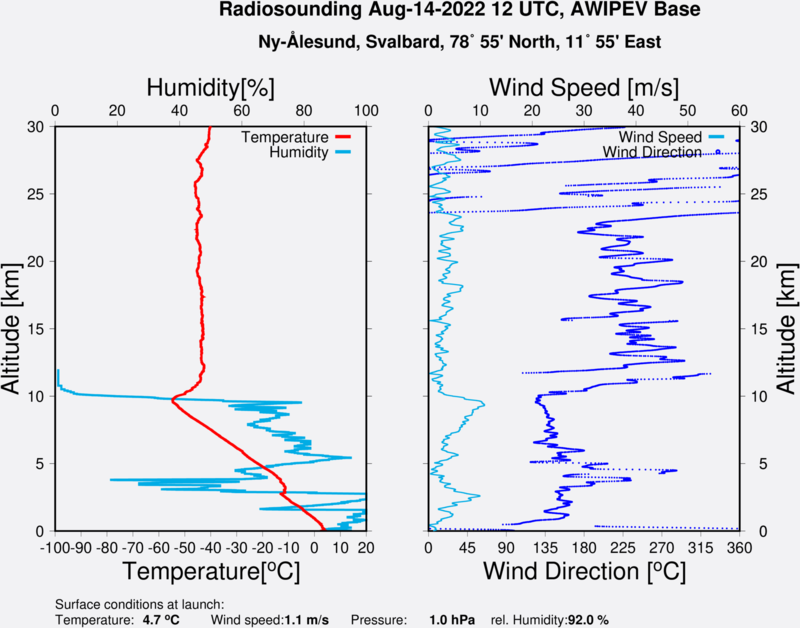 Like all other available radiosonde data worldwide, the Ny-Ålesund data contribute to a central database used as input by weather forecast models. Thus, the Ny-Ålesund radiosondes e.g. also contribute to the weather forecast for Germany. 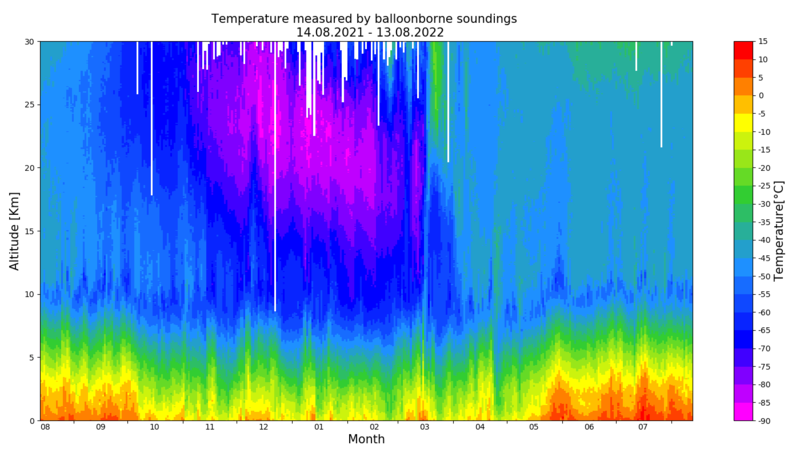 The radiosonde long-term data record allows to identify signals of climate change in the vertical column, that are analyzed in the Atmospheric Physics section. Daily radiosonde launches are also operated at Neumayer Station in Antarctica.